For the third time in past seven (7) years, the California Legislature has modified the laws governing the installation and use of Electric Vehicle (EV) charging stations within homeowners associations (“HOAs”). The first time was in 2011 when the Legislature enacted a new statute (now contained at Civil Code Section 4745) designed to nullify any provision in a HOA’s governing documents that prohibited homeowners from installing and using EV charging stations. In the following year, the Legislature then amended the law to give HOAs some regulatory authority in this area. That amendment served two (2) essential purposes: (1) it gave HOAs the ability to impose “reasonable restrictions” on the installation and use of EV charging stations, and (2) it clarified how the statute is primarily intended to apply to EV charging stations to be installed in a homeowner’s exclusive use/dedicated parking space. This year (2018), SB 1016 was proposed by the Legislature. It makes some significant changes to Section 4745, and also adds new Section 4745.1 to the Civil Code to address EV Charging Station dedicated “TOU” (time of use) meters. Today, September 14, 2018, the Governor signed SB 1016 and its changes to the law will take effect January 1, 2019. The following information summarizes what HOAs should be aware of in the wake of SB 1016’s passage. 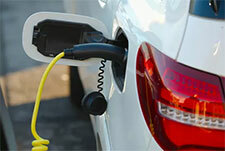 Section 4745(a) was amended to expand the scope of rights homeowners have to install EV charging stations. Homeowners will now have the right to install EV charging stations in their “units,” not simply their designated, exclusive use common area parking spaces. Some condominium developments are structured such that each “unit” is comprised of a residential element and a garage element. 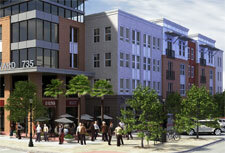 Other developments actually include spaces within the deeds to the individual units. Thus, regardless of whether a homeowner’s designated parking space is within their unit’s garage, or within a portion of common area, the provisions of Section 4745 apply. Section 4745(f)(1)(D) was amended to clarify that the homeowner has to pay for not only the electricity usage associated with the charging station, but also for the costs of installation of the station. Section 4745(f)(3) was amended to relax the insurance requirements of homeowners who install EV charging stations. The $1,000,000 homeowner liability coverage policy requirement has now been replaced with a requirement for the homeowner to simply have “a liability coverage policy” without any specific amount listed. The requirement for the HOA to be named as an additional insured under the policy has also been deleted. **However, somehow the requirement under 4745(f)(1)(C) for the homeowner to, as a condition of approval, agree to provide a certificate of insurance which names the HOA as an additional insured has not been changed. In other words, the law now contradicts itself. Another “head-scratcher” from the California Legislature that should prompt a clean-up bill next year (we hope). Section 4745(k) has been amended in a way that materially modifies the remedies available in enforcing Section 4745’s requirements. Prior to SB 1016, Section 4745(k) allowed for a prevailing plaintiff in an action to enforce Section 4745 to recover its attorney’s fees. The new law will change this language to allow recovery of attorney’s fees only when “a homeowner requesting to have an [EV] charging station installed and seeking to enforce compliance with [Section 4745]” is the prevailing plaintiff. In other words, regardless of whether the HOA is the plaintiff or the defendant, it will never be able to recover attorney’s fees in a lawsuit to enforce Section 4745 even where the HOA wins! This is the latest example of the Legislature’s willingness to modify the fee-shifting provisions of the Davis-Stirling Act to afford homeowners an advantage over their HOAs. As referenced above, new Section 4745.1 will be added to the Civil Code effective January 1, 2019. It basically mirrors the provisions of Section 4745 (pertaining to EV Charging Station installations) in order to extend them to EV-dedicated “TOU” (time of use) meters. An EV-dedicated TOU meter is an electric meter supplied and installed by an electric utility, that is (a) separate from, and in addition to, any other electric meter, (b) is devoted exclusively to the charging of EVs, and (c) that tracks the time of use (TOU) when charging occurs. It is designed to aid utility companies in determining what price per kilowatt-hour should be charged for the use of an EV charging station at specific times of day. SB 1016 is the latest example of the Legislature’s continuing trend of promoting renewable energy technologies and limiting the regulatory authority of HOAs. In our prior blog posts and newsletters on EV charging stations, we have touched on the need of every HOA (especially condominium HOAs) to work with its HOA lawyer to implement rules designed to process homeowner requests for EV charging stations in ways that comport with statutory requirements. That need is even greater now. HOAs that violate Section 4745 and/or new Section 4745.1 are subject to civil penalties and damages. Commercial and Industrial Common Interest Developments (“Commercial CIDs”) in California have historically been governed by the same provisions that apply to planned residential developments and condominiums: the Davis-Stirling Common Interest Development Act (“Davis-Stirling”). However, some of those provisions have resulted in unnecessary burdens and requirements for Commercial CIDs that were really tailored to provide consumer protections for homeowners in residential settings (i.e., open meeting, election and disclosure requirements). In light of this issue, on September 6, 2013, the California Legislature passed SB752: the Commercial and Industrial Common Interest Development Act. SB752 mirrors many of the provisions contained in Davis-Stirling, but omits some of requirements that were geared toward residential homeowners. For example, SB752 contains provisions governing Commercial CID formation, governing documents, assessments and construction defect litigation, but omits certain Davis-Stirling provisions governing association elections and disclosure requirements. SB752 was officially signed into law by Governor Brown on October 5, 2013 and will take effect January 1, 2014. This is fortunate news for the Commercial CIDs that are becoming more prevalent within the community association industry. SB752 will help to simplify the management and operation of Commercial CIDs and will provide them with a workable framework that is better suited to address their unique needs. California’s 1st District Court of Appeal recently ruled that “design professionals” may be liable under both common law and Senate Bill No. 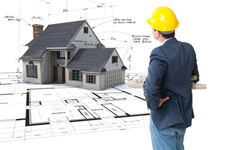 800 (“SB 800”) to third party purchasers for construction defects. Legislative & Case Law Update (2013) Now Available! Our annual “Legislative & Case Law Update” newsletter for the year 2013 is now available in our library! The Legislative & Case Law Update provides an overview of the new legislation and case law impacting California Homeowners Associations (“HOAs”) as we head into 2013. The new legislation includes, among other items, bills that impact Bank foreclosures, the re-organization of the Davis-Stirling Act, EV Charging Stations and fees charged by HOAs in producing certain records. The new case law includes rulings that may impact the architectural restrictions placed on the installation of solar panels, arbitration provisions for construction defect disputes, “no-cost” HOA collections contracts, election disputes and defamation claims. The Legislative & Case Law Update also addresses some new Fannie Mae and FHA regulations impacting condominium insurance and certification requirements. Have questions on any of the new legislation or case law? Click here to send us a question online. Homeowners in California should be expecting a new bill in their mailbox for the calendar year 2011 and onward. 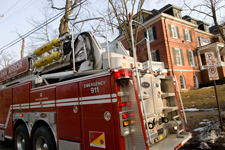 The California legislature has passed a controversial new Fire Prevention Fee which will aim to defray the State’s costs for fire prevention services. 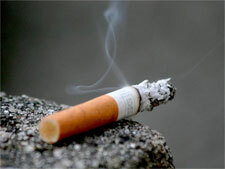 The new fee–argued by some to be a tax–will affect homes that are considered to be “habitable structures within the State Responsibility Area (SRA)” and within “the area of the state where the State of California is financially responsible for the prevention and suppression of wildfires.” Homeowners can check the Fire Prevention Fee website to determine if their home is located within the SRA area. The new assessment fee for affected structures will be $150.00 per “habitable structure,” defined as “a building that can be occupied for residential use.” For affected multi-unit condominium buildings, the new regulations assess a fee of $150.00 for the first “dwelling unit” and $25.00 for each additional dwelling unit located within the building. Condominium Associations located within the SRA that consist of multiple units may feel the biggest effect due to the new fees levied on each “dwelling unit.” Such Associations will need to determine how best to structure payment (e.g., paid by the Association as part of its annual budget or paid by each owner individually). The content of this post was adapted from information provided by CAI’s Legislative Action Committee Blog. To read the original article, click here. HOA Parking Rules Versus Handicap Parking Placards? Asked – My HOA requires a parking decal to park in the community. Is my HOA allowed to enforce its parking rules on vehicles with handicap parking placards that are parked within designated parking areas, but are without the HOA required parking decal? Answered – Yes. Typically, homeowners association (“HOA”) governing documents (e.g., “CC&Rs,” “Rules & Regulations”) contain provisions governing how vehicles may be parked in the common area streets or parking spaces. In the event that a parking violation occurs, the HOA has the authority to enforce disciplinary measures against the violating individuals in accordance with the applicable enforcement procedures set forth in the HOA’s governing documents. Although California Vehicle Code §22511.5 permits individuals with appropriate handicap placards to park in handicap spaces, those individuals must still comply with all other HOA parking rules. Individuals generally may not, therefore, circumvent the requirements of an HOA’s parking rules through the use of handicap placards or plates. 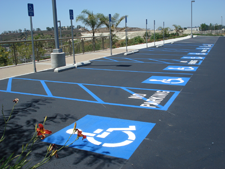 Upon receiving a proper request, a HOA may be required to make “reasonable accommodations” for disabled individuals by designating additional parking spaces as handicap parking spaces. If your HOA has received such a request, the issue should be directed to your HOA’s legal counsel for guidance. Installing a HOA Dog Park in the Common Area? Asked – The HOA I manage is considering fencing off a portion of its common area to create a “Dog Park” for the residents to use? Can the HOA do this? 1. Potential Conflict with the HOA’s Governing Documents: The HOA CC&Rs and/or Rules & Regulations may prohibit off-leash pets in common areas. An amendment to the CC&Rs and/or modification of the Rules & Regulations may thus be required so as to resolve any conflicts. While a modification to the Rules & Regulations is fairly easy to accomplish, amending the CC&Rs is often difficult–notwithstanding the expense the HOA will have to incur in the process. Additionally, HOAs are typically prohibited from maintaining anything in the community which serves as a nuisance to the HOA’s residents and guests (e.g., barking dogs). 2. Liability Exposure for the Association: There are many foreseeable circumstances where the HOA would be exposed to liability as a result of the Dog Park. 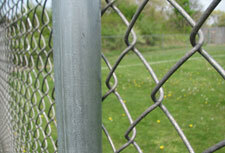 It is not uncommon for dogs and people to be injured while using these types of parks. Having owners merely sign a waiver is not sufficient to completely insulate the HOA from liability–especially considering the likelihood that neighboring, non-HOA residents may try to use the Dog Park. 3. Insurance Concerns: The HOA’s insurance policy may not provide coverage for the Dog Park. Even if coverage is available, our communications with leading HOA insurance professionals echo the liability issues discussed above. 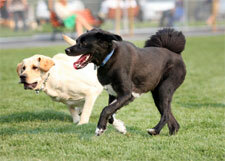 Extending coverage to the Dog Park will likely cause an increase in the HOA’s insurance premiums. Moreover, any claims that are subsequently filed as a result of the Dog Park may cause those premiums to skyrocket. The most common Dog Park related claims are those where a dog knocks a person to the ground and causes injury. It is easy to understand why HOA Boards would desire to install such an attractive and endearing amenity–especially if you are a dog lover like the HOA attorneys and staff in our office. However, installing a Dog Park in a community that was not originally developed with one is likely not a good idea. HOA Boards should consult with their legal counsel to determine what additional issues should be considered in determining whether to move forward with the park. Homeowners Association (HOA) developers often reserve certain easement rights for the benefit of the HOA’s members. Such easement rights typically extend over common areas but may also extend to adjoining properties which are not included within the actual HOA development. When those easement rights are threatened or infringed, the recent case of Sumner Hill Homeowners’ Association v. Rio Mesa Holdings, LLC., (2012) (Sumner Hill) illustrates (1) how the HOA can bring an action to protect its members’ interests and (2) what substantial role the development’s tract map can play in adjudicating the members’ easement rights. In Sumner Hill, residents in a gated community enjoyed access to a private road (Road) that lead to the nearby San Joaquin River. That access was jeopardized when an outside developer (Defendant) built one of its development’s public access paths through the Road and installed a fence which restricted access to the Road by the Sumner Hill residents. The Sumner Hill members believed that the Road was part of the association’s common area and that their easement rights had therefore been violated.